Water damage restoration done right. 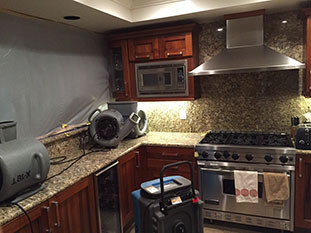 Pasadena Water Damage Restoration Pros have been providing Pasadena and surrounding areas with the fastest and highest quality 24 hour emergency response damage restoration services in the area. If you need help, we can be there quick. Call us anytime at 626-427-6966 and we can dispatch one of our friendly and experienced water damage restoration professionals to your location immediately. If you've recently experienced flood damage, water or sewage damage, or both major and minor plumbing issues that has left your home in immediate need of help, call us right now. Our emergency response team is standing by 24 hours a day 7 days a week, ready to help you get your home or commercial space back to normal as soon as possible. Time is of the essence when it comes to flood damage and water repair. The faster the response, the greater the chance of saving you thousands of dollars in possible serious damage to your important belongings, furniture, and even the structure of your home or commercial building. Some of the most common causes of water damage can be from leaking water pipes, broken drain lines and even damaged water pumps. Household appliances that have failed or are malfunctioning and also pretty common causes. You might find yourself with water damage and mold caused by your dishwasher, water heater, or your washing machine. 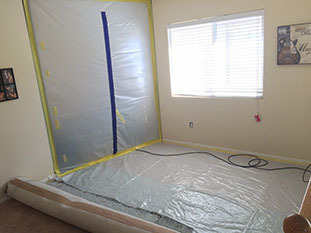 If you do notice any mold damage, you might also need help with mold removal, cleaning, and mold remediation. Water damage left untreated can also provide the ideal breeding ground for mold and other dangerous or pathogens or toxins that can cause biological contamination. This is the type of thing that you'll definitely want to call experienced professionals for. You shouldn't try to deal with it yourself as it could be dangerous. The water itself can already be carrying disease or bacteria or you could encounter electrical issues that could cause a fire or possibly injure you. Most likely there's also more to the water damage then just what you see on the surface. In order for us to provide you with the best water damage restoration service, we will take action with urgency, skill, and the right high powered equipment. 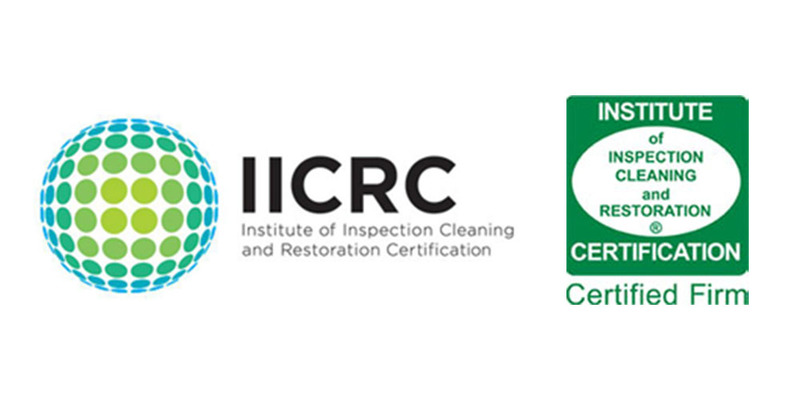 We use the latest water restoration equipment, techniques, and IICRC S500 standards to ensure that the job is done fast and that it's done right the first time, every time. After the initial evaluation and the discovery of the source, our team of water cleanup professionals will get to work on removing the water or sewage from your property with state of the art equipment capable of extracting the water at the fastest rate possible. 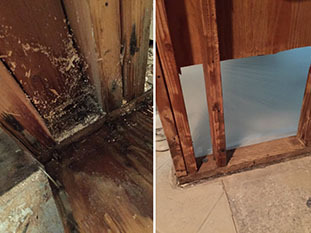 If water isn't removed right away, it can cause your wood to start rotting, or mold could begin to build up, and your home or commercial property can become unhealthy and or uninhabitable. 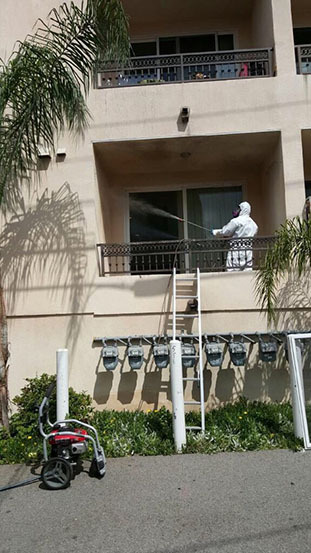 Our friendly and experienced professionals will effectively to make sure that the removal of the water in your affected areas is done properly and quickly. 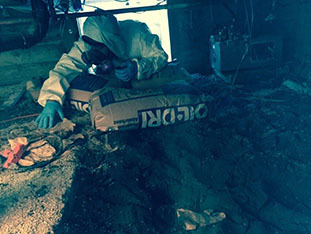 After we've removed all the water from your property, we can begin the water damage mitigation process. We use industrial strength dehumidifiers and high powered commercial air movers and turbo dryers to dry out the damaged areas as fast as possible. This is extremely important to make sure any evaporated moisture is removed from the air in order to prevent and kind of secondary damage from affecting the area. We also use state of the art moisture detection meters and other infrared technology tools to make sure everything is dry and your floors, ceiling, and walls are no longer saturated. The total extent of all the water damage can many times be more than just what is visible to the human eye. For example, if there was a leaking pipe that suddenly burst, it could have been leaking for quite some time before it finally gave out, and probably went undetected for a good amount of time. We want to dry out your property and get it back into its originally beautiful state as soon as we can, so that you and your family can go back to your normal everyday life as usual. 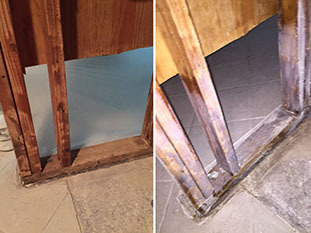 After the water removal and mitigation process is completed, we can begin the process of sanitization, deodorization, and restoration of your affected property back to pre-damage conditions after you've sustained the flooding or water damage. 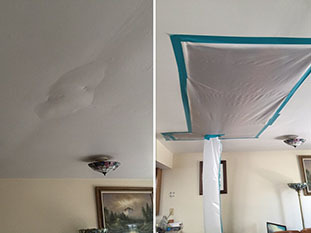 You'll be glad you call for experienced professional water damage remediation help as soon as you did. We'll help you make your home a safe place again. Call us now at 626-427-6966 for a free estimate. We understand that it can be pretty devastating to experience a fire at your home or place of business. You might be in a state of shock and you really just want to make sure you hire professionals that genuinely care and that are going to help get you and your property back to normal as soon as possible. We have the extensive experience and the training in damage restoration to get you back up and running sooner than later. Once emergency services have cleared the fire scene as safe, you should call us for our services as soon as possible. The sooner we can get out there to get started with the clean up, the less chance you'll have of dealing with soot residue or permanent damage. We don't recommend that you do the cleaning yourself as the air quality isn't the best after you've experience a fire. Fire and smoke damage can start doing residual damage right away. You might start seeing a yellowish hue on your appliances. The acidic residue can start staining your bathrooms and other areas. Walls can start to discolor and some items will start to rust. Soot residue might be layered everywhere. The acidic residue really does a number on your property. All this residue and those uncomfortable smoky odors need to be removed and treated properly to make sure there's no future re-contamination. Due to all these after effects that can start to take place right after you've experienced a fire or smoke damage, dealing with it later means you'll be dealing with more problems than you initially thought you had. Time really is of the essence in order to help keep your expenses lower and avoid more headaches down the road. We use proper fire restoration equipment and techniques. We will go to work with the proper masks and proper ventilation. We clean from the floor to ceilings and vacuum floors and upholstery as well. We also use pressure washers to clean the exterior of your property if needed. Usually after you've experienced a fire, you might also have some water damage to deal with, and we'll be there to help you with all that as well. We'll also understand what it's like to have to deal with insurance companies during a time like this. That's why we'll help you and deal with your insurance company as well. We're here to help you. 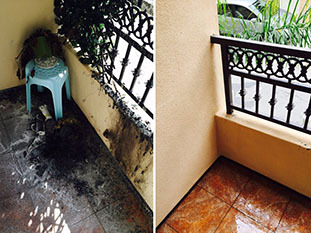 If you just experienced a fire or smoke damage, give us a call at (626) 427-6966 and we'll get one of our experienced technicians our to you right away. We're available for you 24 hours a day, seven days a week. "My house is flooded what do I do?". First things first. Call us on our 24 hour emergency response line at 626-427-6966 so we can have a trained water damage restoration professional dispatched to you right away. You'll also want to safely try to find the source of the flooding and if you can, turn off all the valves. If you still can't find the source go out to the main water valve to your home or commercial space and shut down the water to the whole building. Another thing you can do is shut off the power from the breaker box to the areas that have been affected until we can determine the source of the water flooding. Please be sure to keep your loved ones away from the flooded areas. Finally, remain calm. Help is on the way. We'll work with your insurance company. We understand this can be an unexpectedly difficult time for you, but rest assured that we've worked with many insurance companies on many claims for our customers. We specialize in effective assistance whenever you need it most. If you're not sure about something or you need clarification, go ahead and let us know. We're here to help you. 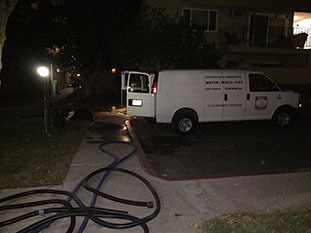 Pasadena Water Damage Pros services water damage, fire damage, and mold damage to residents of Pasadena, Altadena, San Marino, Alhambra and all other surrounding areas for many years and we have many satisfied customers in "Crown City" and beyond. We're good at what we do and we plan to keep that up for many years to come. Let us show you why. Don't hesitate and call us now at 626-427-6966.